Sofar Sounds is a community that curates secrete and intimate live performances in unique spaces, from living rooms to fancy furniture showrooms. 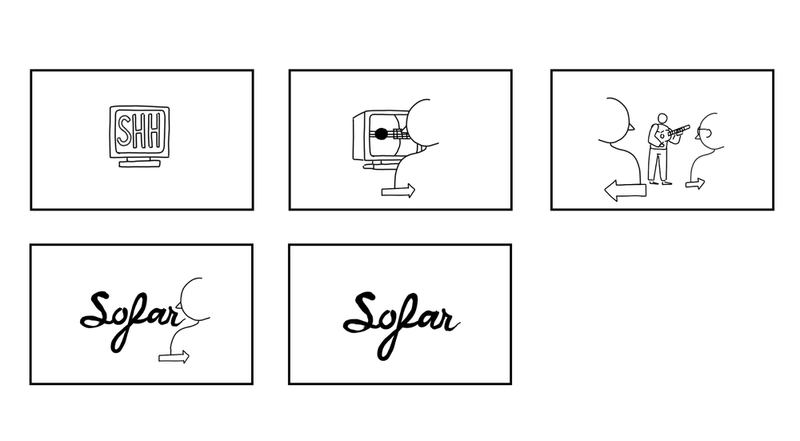 The idea of this animation is to demonstrate the process of how Sofar Sounds works. It begins with receiving their secret email - Shh… - to watching the performances on their YouTube channel and finally attending a live performance. The overall mood of the animation is dark as it recreates the intimate atmosphere of these shows. The use of black and white represents the spotlight on the artist as the main focus and a backlight on the audience.